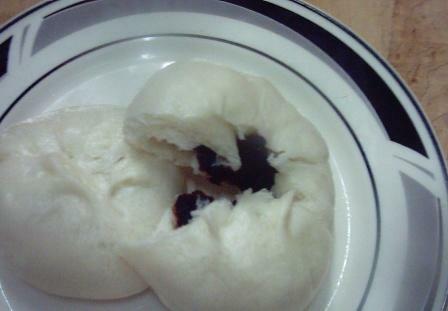 I made this pau yesterday for breaking fast (I was fasting yesterday). 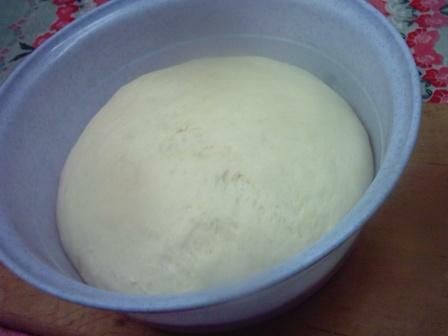 The recipe for the dough is from Aunty Yochana‘s cooking blog and Amy Beh’s, “At Home with Amy Beh”. Ha..hah, confused. Well, both recipes are quite similar actually. It’s only that I have a container of unopened shortening I bought quite some time ago and Aunty’s recipe calls for shortening. 1) Sift flour, baking powder and salt into mixing bowl (I would start with 500g of flour first). 2) Using a hook dough to mix, add in sugar, yeast and shortening and start the machine or mix well if manually. 4) Leave to proof. I left my dough to proof for 1 1/2 hours. Salt can delay the time of proofing. I guess that is why aunty Yochana’s recipe needs only 1/2 hour to proof..
5) Scale to 30 g balls each. I got 24 balls. 6) Wrap with filling. I have 2 fillings.. red bean filling and sambal ikan bilis. 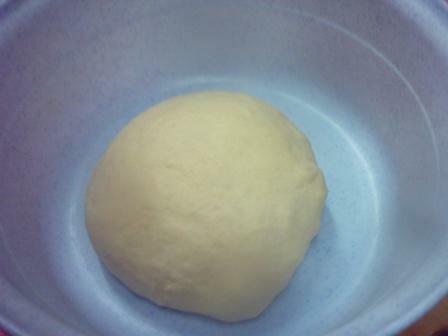 The oil from my sambal ikan bilis seeped into the dough. So you should use very little oil when cooking the filling. 7) Place on greaseproof paper and leave to proof for another 30 minutes. 8) Steam over high heat for 10 minutes. 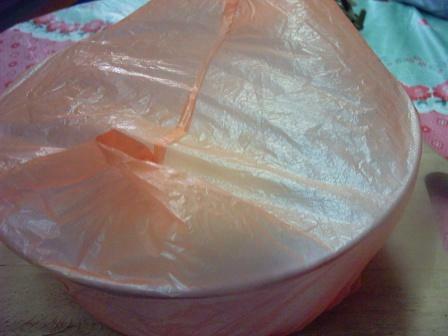 This entry was posted in Kuih-muih and tagged pau. Bookmark the permalink. Gosh…why did I come here in the first place! Now I am craving for Pau! Hahaha… Your kuih pau looks so soft! Don’t look..look only. Kempunan nanti. He..he.. Pau ni mmg lembut. Thnks to Aunty Yochana & Amy Beh. Akak buat pau selalu tak jadi lembut sangat, kena try la ikut resepi ni..thanks dik. Cuba.. jgn tak cuba. Memang sedap. I’m preparing menu for Ramadan. 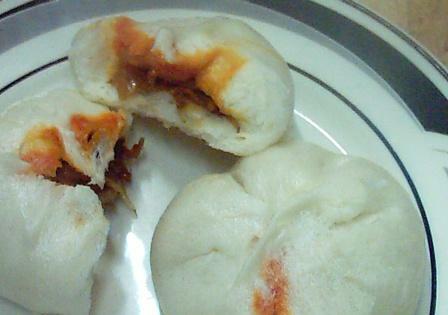 My children craving for Kuih pau, since I’m living in Germany, what is hong kong flour, any substitute? Hong Kong flour is a low gluten flour. You can use superfine flour or cake flour.You can also use all-purpose flour but you may not get the bleached white pau.